Last weekend, I saw Bohemian Rhapsody, the Freddie Mercury biopic. I was not a huge Queen fan growing up, so although I knew the broad outlines of the story, the details were new to me. I enjoyed the movie – and I came away thinking about risk. 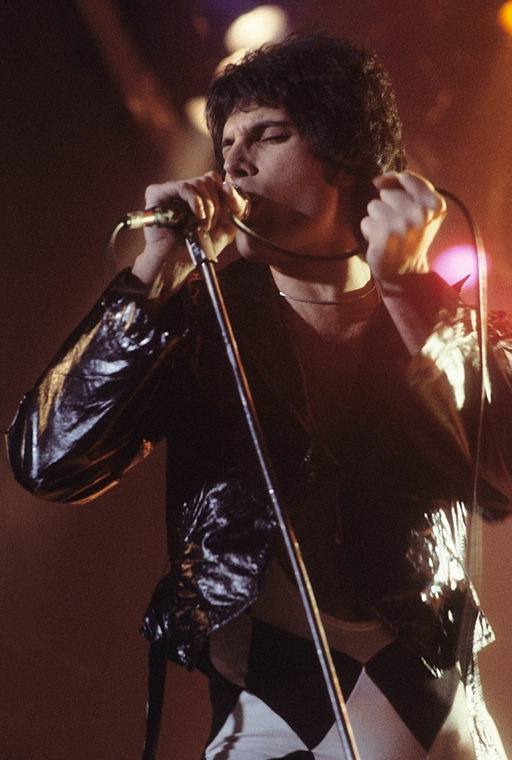 As portrayed in the movie, Freddie Mercury was a risk-taker, both in his music and in how he pursued his musical career. His music-related risk-taking is shown as a good thing, and I guess for Mercury and the other members of Queen, it was. We certainly wouldn’t have the song that gave the movie its name if it weren’t for their willingness to take huge risks. But I also think about the many, many people who take similar risks and don’t succeed like Queen did. I don’t think the difference between success and failure is entirely due to differences in talent. I think it is largely due to luck – and to the willingness to double down on your risk when your lucky chance comes along. Mercury does this several times in the movie: extending out over the toehold on success that he’s managed to claim to reach for even more. Most of us don’t have the nerve to double down on risk like that, and this is where the way project managers talk about risk dovetails nicely with the more common view of it as exemplified by Bohemian Rhapsody. When project managers talk about risk, we’re almost always talking about how to mitigate risk. Risk is unavoidable, but on most projects it can be managed and mitigated so that risks becoming reality don’t derail the project. A large part of what I do as a project manager is take actions aimed at preventing a risk from becoming a problem for the project. When I join a project that is already underway, getting an understanding of the most likely risks is my first priority because unless I can see what risks threaten the project, I can’t effectively keep it on track. So while in the wider world, risk is something you take, in my professional world, risk is something you manage and mitigate. But these two ways of looking at risk aren’t necessarily contradictory. A good risk mitigation strategy can actually make you more willing to take risks. Most mitigations are just fancy fall-back plans, or strategies to give yourself more time to find a good fall-back plan. Good fall-back plans let you can take more risks. They are a safety harness that let you climb out on that ledge to reach for glory, safe in the knowledge that failure may be embarrassing, but won’t be fatal. To come up with a good mitigation for a risk, think about what damage will occur if the risk becomes a reality, and then think about how you can minimize that damage. A common mitigation for taking a risk is to put it as early in the project as possible, so that you have more time to recover if it goes wrong. Another common mitigation is to make sure you have enough resources (usually money or additional people who can help out) to allow you to recover from things going wrong. There is no “correct” mitigation plan for any particular risk. There is just the plan that you think best balances the additional costs incurred by taking the mitigation with the potential harm that can be caused by the risk. I don’t know if Mercury had a fall-back plan when he approached the other members of the band that would become Queen. I don’t know if they had a fall-back plan at any of the high stakes risk-taking moments in their story. But for the rest of us, thinking about how to mitigate a risk can make it easier to take the risk – and taking the risk can often open up the chance greater success.